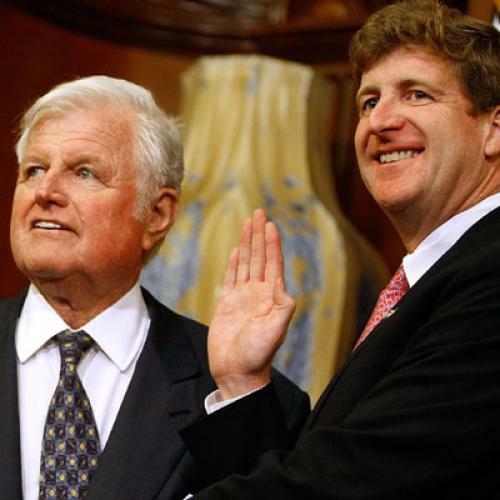 Will Patrick Kennedy make the same transition Teddy did: from pitiable to proud? Of all the politicians I’ve encountered in the course of doing my job, there have been some that I’ve admired and some that I’ve loathed. But there’s only one politician I’ve ever pitied, and that’s Rhode Island Congressman Patrick Kennedy. I met Kennedy three summers ago when I was reporting a profile of Newt Gingrich and both politicians were giving speeches to a business conference in Newport, Rhode Island. Although I was there to hear Gingrich’s talk, it was Kennedy’s that made the bigger impression, if only because it was so bad. Kennedy was speaking about his legislative passion--the issue of mental health parity--but he looked less like a politician giving what should have been a polished spiel than a nervous third-grader doing a book report on a tome he hadn’t bothered to read, stammering and blushing and seeming very out of his depth. When the speeches were over, Gingrich, with whom I was spending the day, convinced Kennedy to take him on a tour of the nearby Providence Zoo, and the awkwardness only continued. Where most politicians draw energy from adulatory crowds, the sweaty and anxious Kennedy flinched when various zoogoers approached to shake his hand. At one point, a zoogoer--who was also presumably a constituent--tried to ask him about Iraq, but she couldn’t even finish her question before Kennedy was hightailing it away from her and into the relative safety of the monkey house. Of course, Kennedy’s extreme reticence that day may have had something to do with the fact that he’d just recently finished a stint in drug rehab, and he was wary of reentering public life. But that only made his situation more pitiable. Here was a guy who clearly had little aptitude for politics but, because of his last name, had become a politician anyway; and now he was being forced to combat his demons--demons that may well have been fed by his bad career choice--on a very public stage. I spent a fair amount of time with him in the 1970s, and most of the circumstances involved pain or awkwardness. I watched him work a supermarket in New Bedford when he ran for re-election in 1976. He accompanied a woman who was shopping for her family. It was total agony. He simply had no idea what to say or do. "So, uh, your family, ah, likes ... meat?" he asked. "Oh, yes, Senator," the woman replied, and that was that. No question about the high price of chuck. He stared at her, unable to figure out what came next. Contrary to received wisdom about him, contrary to the joyous Irish bull he later became, he seemed to have no political instincts at all in those days. Sound familiar? Indeed, in some ways, the early stages of Patrick’s political career have gone smoother than his father’s. Yes, Patrick, who was a mere 27 when he was first elected to Congress in 1994, had to trade on his family’s name--and connections--to land the job. (Watch the wonderful documentary Taking On the Kennedys if you don’t believe me.) But did Patrick rely on those things any more than the “pathetically unqualified” Teddy (to quote Noah) did when he was first elected to the far bigger job of U.S. Senator at the age of 30--an election that, with his brother in the White House, was, as Klein puts it, “the closest thing to a regency appointment the Senate had ever seen”? And while Patrick has suffered through some embarrassing personal episodes since taking office--a confrontation with an airport security guard in 2000; an Ambien-induced car crash in 2006 that resulted in him going to rehab; and a return to rehab this past June, apparently brought on in part from stress over his father’s medical condition--he’s committed no transgressions of the magnitude of Chappaquiddick. If the conventional wisdom is that Teddy didn’t start becoming the lion of the Senate until after his unsuccessful presidential campaign in 1980--and that he didn’t find peace in his personal life until, at the age of 60, he married Victoria Reggie in 1992--then Patrick, who’s in the 15th year of his congressional career and the 42nd year of his life, still has some time to get things straight. Even before Ted Kennedy passed away, there was speculation that there was no one in the next generation of Kennedys to carry on the family’s singular political torch. "I think it's over," Ben Bradlee, the former Washington Post editor and a close friend of JFK, told his paper earlier this month. "I don't think there are any left.” And that may well be the case. But if Ted Kennedy’s life taught us anything, it was that people can grow and change and ultimately find themselves in a cause bigger than themselves. Maybe Patrick, as Ted Kennedy’s son, will heed that lesson better than anyone and ultimately mature into a politician--and a person--to admire rather than pity. Wouldn’t that be nice?